Everyone on the planet needs water to survive. Water is a necessity and has to be in the body to allow the organs to work. Your hydration is very important and that is why most people have water in their hand or somewhere nearby. During the hotter months you use more energy and that is why you may need more water. The great thing is that we live in a time and place that you have access to water just about anywhere you go. Homes have water that is either piped in from the city or county and other homes use a well system. They both allow drinkable water as long as they are taken care of. The problem with either kind of water system is that the water can still contain contaminants that you want to keep out of your body. This can be done by adding a filtration system to the unit. 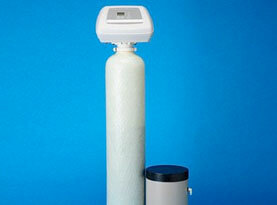 This will ensure that you have a good solid filtered water that is great tasting. Water Well Casing: One of the most important parts of the well is the casing. This is the tube shaped material that is installed after the well has been dug out. The space for the well has to be planned out and dug out to the right specifications. The casing is important to protect the path of the well so that the water can fill the area that you are using for your well. The great thing is that this is also a defense from allowing contaminants getting into your water. You want to make sure that you know what the rules and regulations are for casings and if there are any rules to the length that is allowed. Water Well Cap: Once the casing is in place you need to have a way to protect it from debris and insects that might fall in. This is what the well cap is for. The well cap is something that can be used on the top of the casing at the opening of the well. The cap is often made of metal or plastic and is great at keeping out the things you don’t want falling into your well. 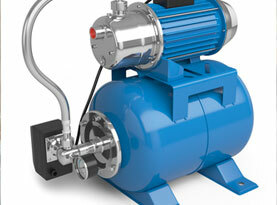 The vented cap is always great with the pressure that is needed so the well can pump when needed. Water Well Screen: The next part of the well that you likely have is screen that is used at the base of the casing. This is to allow the water to come in the well but it will keep out the sediment and debris that also travels with the water. That will give you a more pure form of water. The screen can have slits of perforation to allow the water into the area of the casing. 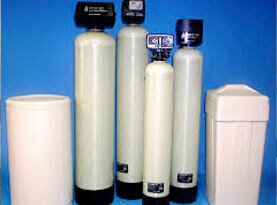 Water Filtration: If you have well water you want to also make sure that you have a filtration system as well. You are not able to control the water that you are getting as well as you can through the city water. The best line of defense is to make sure that you have your home outfitted with a filtration system to continue to clean the water before you drink or use it. 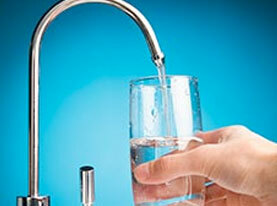 AAA Water Team can come out to your house and install a whole home water filtration system. Call us today to meet with our experts. What Equipment is Needed to Test for Heavy Metals in Water in Bonita Springs, FL? How Does Hard Water Affect Laundry Detergent when Washing Clothes in North Naples, FL?